TODAY: Large Asteroid To Make Rare Close Pass - Joe.My.God. Asteroid 2010 WC9 will pass relatively close to Earth at 6:05 p.m. EST Tuesday, passing within 126,419 miles of the planet, or about half the distance from Earth to the moon, according to NASA. First discovered in 2010 by the Catalina Sky Survey in Arizona, the fast-moving asteroid will be visible to those with a small telescope. 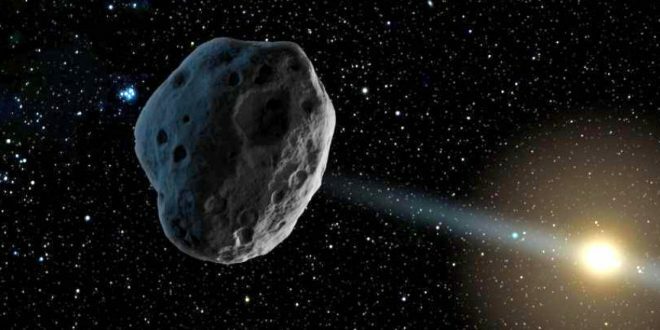 The asteroid will be moving at a speed of about 28,655 miles per hour when it shoots past the Earth and is the closest this particular asteroid has passed Earth in 300 years, according to EarthSky.